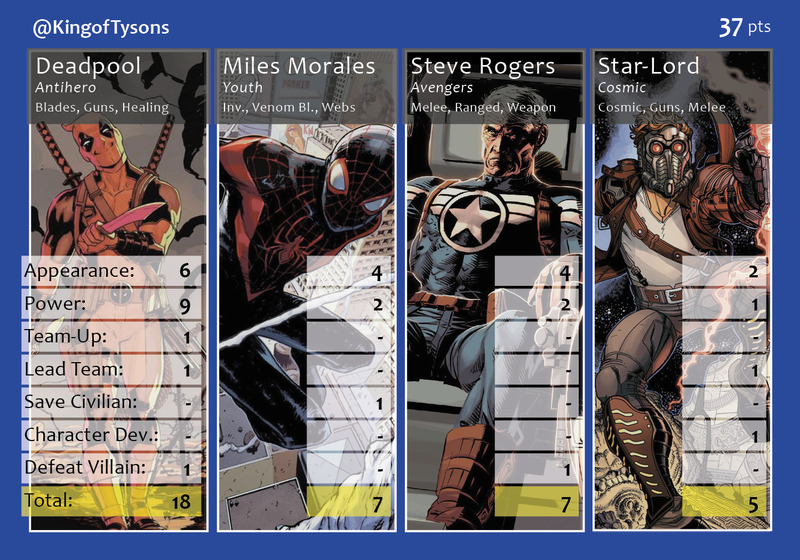 A new year brings with it a new season of the Fantasy Comic League. Lash, the League’s most freshman player, finally broke the hold Brian and Shaun have held on first place finishes. 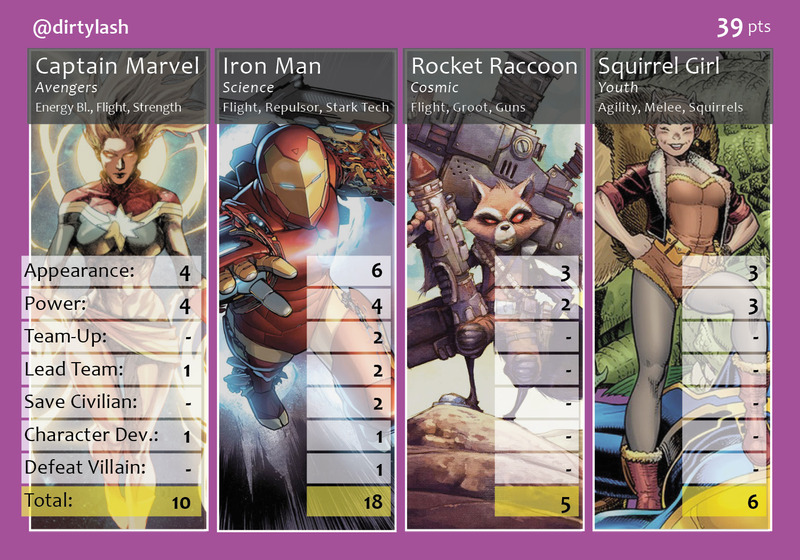 Lash secured the first victory of 2016 thanks to Iron Man’s strong month in which he scored at least one point in each category. 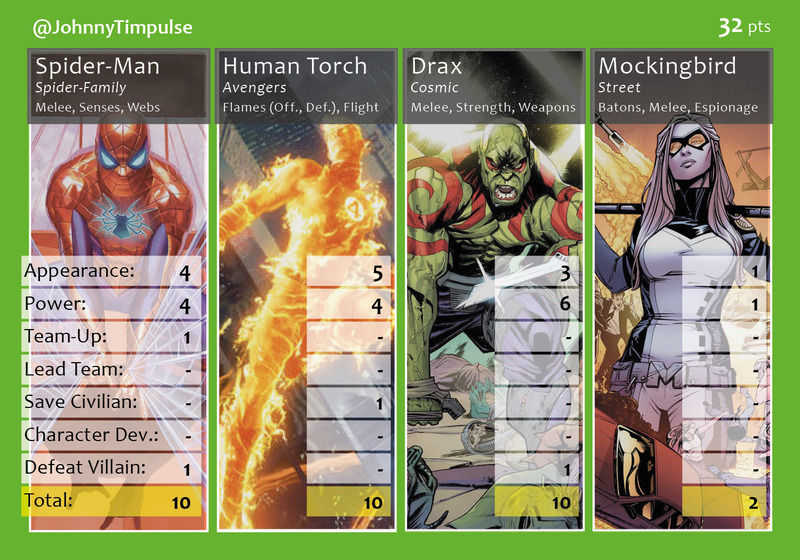 Tony tied Deadpool in total points with 18, and Thor came in a distant second with 12. One quarter of the League’s heroes tied for third with 10 total points, three of them belonging to Johnny’s team. 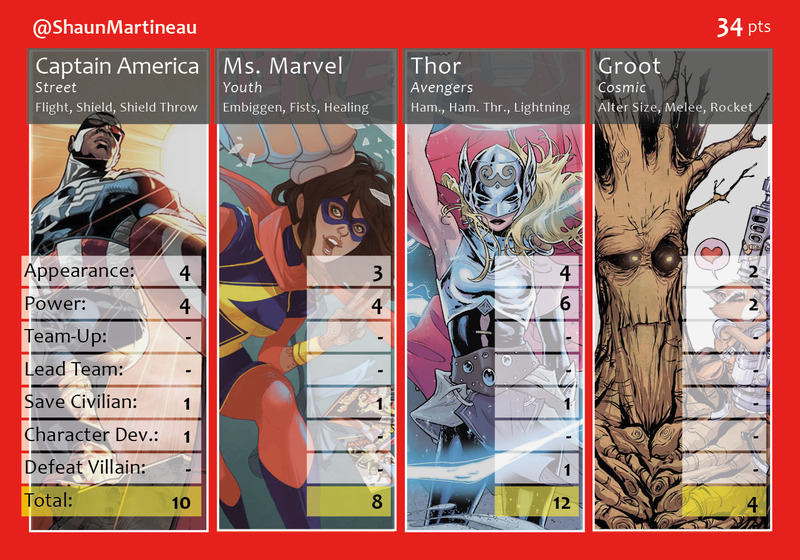 Unfortunately for Johnny, Mockingbird, his fourth character, only scored two points in January. Groot finally made his debut in the League on Shaun’s team, but only managed four points in his two appearances. Overall Score – Lash, 2 pts; Brian, 1 pt; Shaun, 1 pt; Johnny, 0 pts.